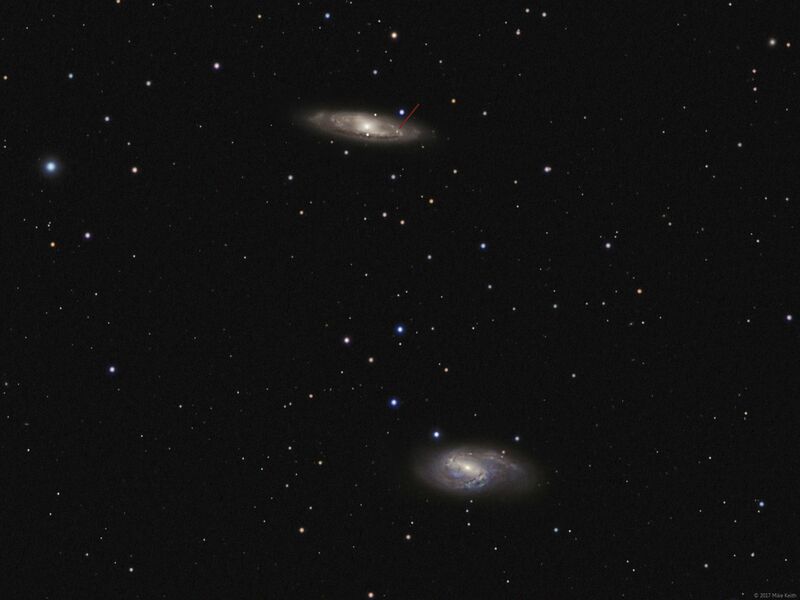 The two galaxies in this image are M65 (at the top) and M66, located in the constellation Leo. 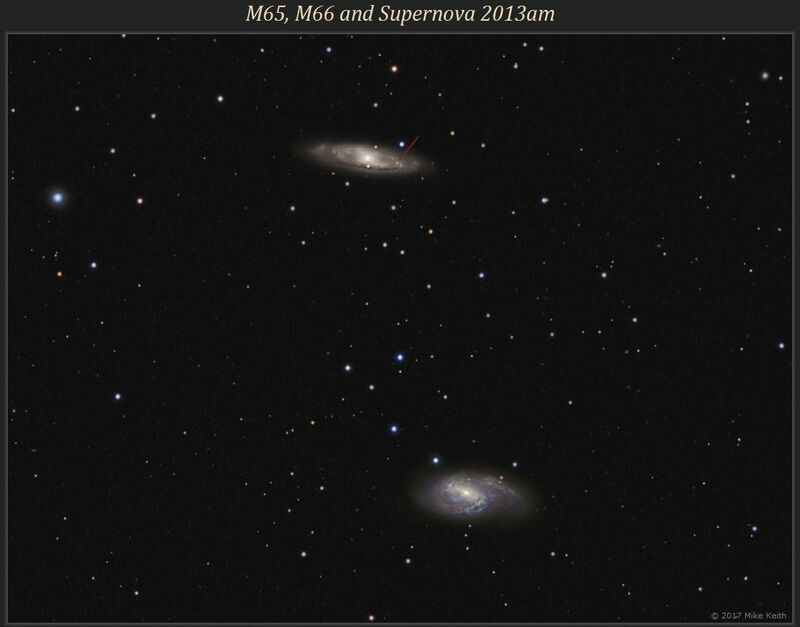 This was captured on 8 Apr 2013, about 20 days after supernova 2013am appeared (in Earth time). The red line points to the supernova, which was about magnitude 15.5 when this photo was taken. The fuzzy "star" near the upper right corner is elliptical galaxy IC 2708.